This is not a book for someone to jump into this series with; I guess, technically it could work -- but man . . . there's just so much you wouldn't get. But for those who've dipped their toes in the water -- or have fully submerged themselves in the deep end -- this is going to scratch that itch. Typically, there are more balls in the air than you can easily track -- there's all the new political moves and movers that Alex has to contend with, his continuing efforts to prove to former friends and allies that he's trustworthy (well, that he shouldn't be intensely distrusted anyway), there's a rising sense among the adepts that they need to organize -- and Alex is dumbfounded that none of the Light mages seem to see this as something worth paying attention to -- and then there's Richard's continuing efforts to disrupt Alex's life. And then there's all the stuff that Alex hasn't figured out that's going on around him yet. Due to the political office (however temporary) that he finds himself in, and the nature of the threats he's facing down -- this is one of the least personal stories in the series. At the same time, Alex is driven to risk more of himself to save his friends and maybe even save a foe. I don't know how to talk about this without spoiling much. I can tell you that as nice as it is for Arachne not to have all the answers -- I wanted more of her and that the rest of Alex's friends get to shine in ways they normally don't. Also, given where things end, I'm already impatient to get my hands on the next one. So, I don't have much to say, but it's good. 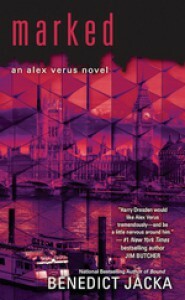 Alex Verus fans should grab it, and people who aren't yet, should check into the series and catch up.